In writings about Islam, women and modernity in the Middle East, family and religion are frequently invoked but rarely historicized. Based on a wide range of local sources, Beshara Doumani '77 argues that there is no such thing as the Muslim or Arab family type that is so central to Orientalist, nationalist, and Islamist narratives. Rather, one finds dramatic regional differences, even within the same cultural zone, in the ways that family was understood, organized, and reproduced. In his comparative examination of the property devolution strategies and gender regimes in the context of local political economies, Doumani offers a groundbreaking examination of ordinary people and how they shaped the modern Middle East. 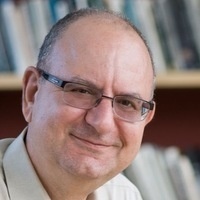 Dr. Beshara Doumani is the Joukowsky Family Professor of Modern Middle East History and founding director of Middle East Studies at Brown University. His research focuses on groups, places and time periods marginalized by mainstream scholarship on the early modern and modern Middle East. He also writes on the topics of displacement, academic freedom, politics of knowledge production and the Palestinian condition. His books include "Family Life in the Ottoman Mediterranean: A Social History," "Rediscovering Palestine: Merchants and Peasants in Jabal Nablus, 1700-1900," "Academic Freedom After September 11" (editor), and "Family History in the Middle East: Household, Property and Gender" (editor). Doumani is also the editor of a book series, "New Directions in Palestinian Studies," with the University of California Press, and co-editor of the Jerusalem Quarterly. Currently, he is a member of the Institute for Advanced Studies at Princeton, where he is writing a book on the modern history of the Palestinians. Doumani will also speak on "Palestine: Acitivism, Academia and BDS" on April 11 during Common Hour in the Horn Gallery multipurpose room. This event is part of the Asian and Middle East Studies Program Storer Lectureship series.